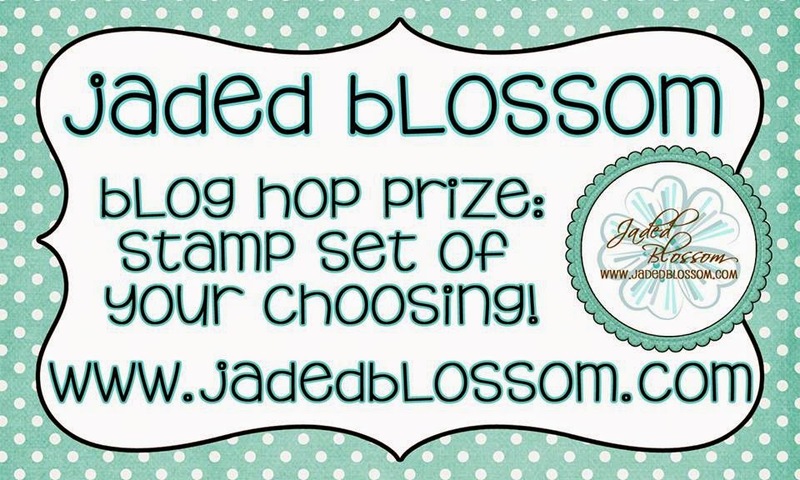 Welcome to Jaded Blossom's May 2016 Release Blog Hop. 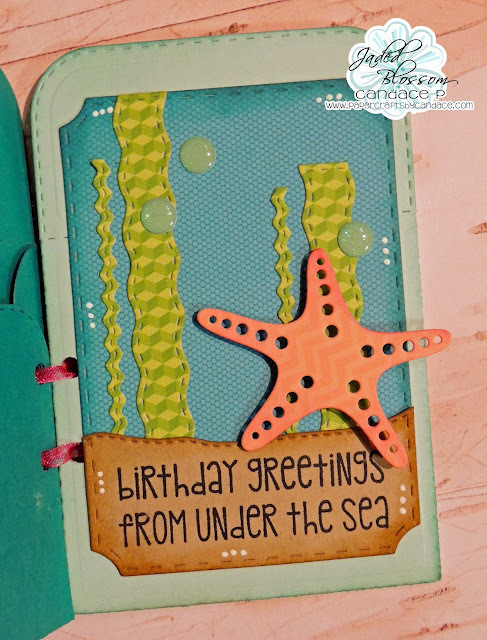 Now if you're here from Cindy's Blog, then you're in the right place, if you're just passing through start at the beginning because you don't want to miss a thing. I also have the complete line up at the bottom. For my project I decided to make a cute little gift card trio for a friends birthday! 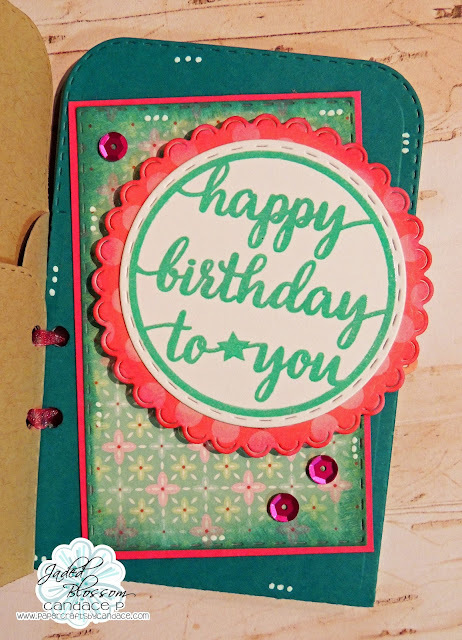 I used the envelope die as my base and then when you turn it over the gift card will go in the pocket. 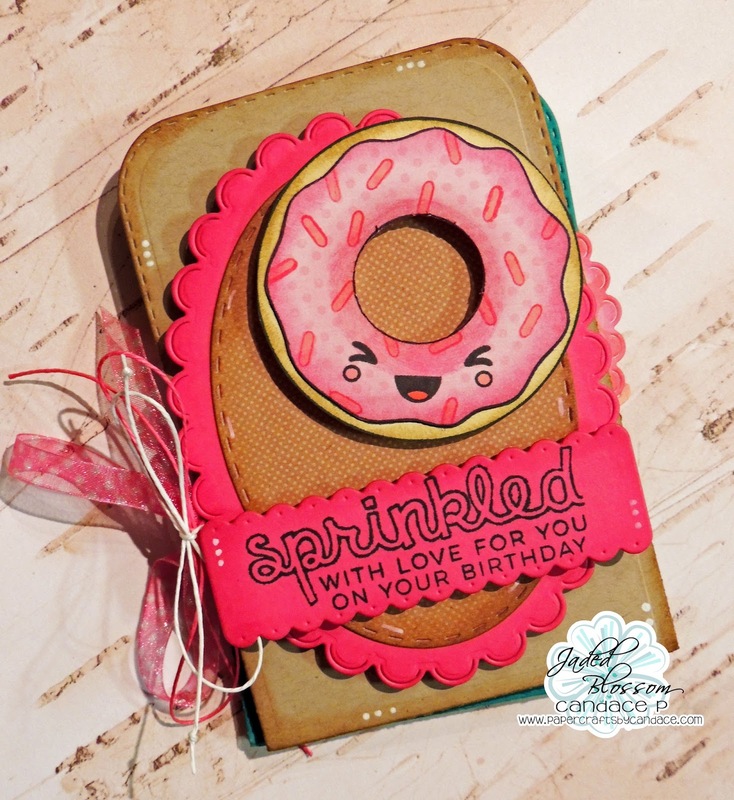 For the cover I used Stitched oval dies, scallop oval dies, Love Donuts, and Candy Wrap Dies. 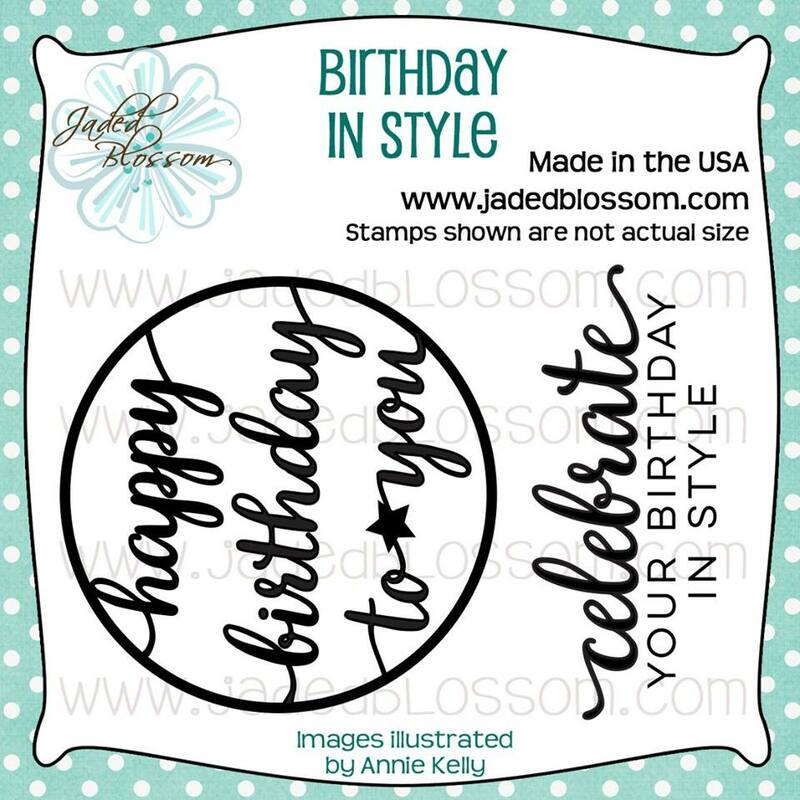 For the second one I used Goody Bag Dies, The Birthday In Style freebie, stitched circle dies, and scallop circle dies. Love what you did with the envelope die. What a fun idea!!! 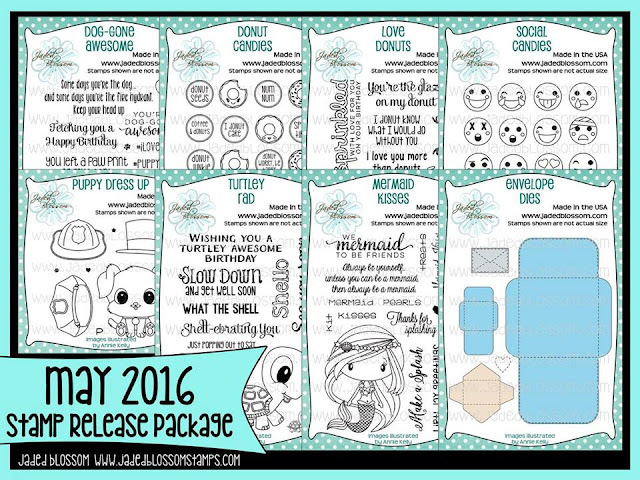 Love the use of all three themes on the different envelopes!!! Wow! This is too cool! Love this idea! What a great gift! The donut is just awesome! 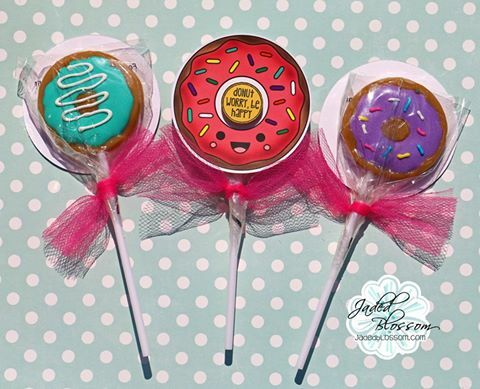 I have a thing for donuts lately! Great job - such a cool idea! TFS! super cute book chickie !!!! cool idea with the new die ! What a super cute idea, I am uumm just going to do a lil scraplifting on this. I know mine will not be nearly as good, but I know it will be just as fun!! Oh, this is such a fabulous project! Thanks for having me as a guest designer, I have had a fun week! Love your tags, so cool. 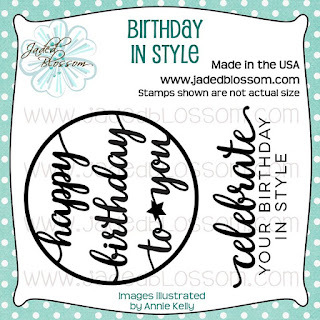 Super neat gift card ~ love all the tag details ~ fab job!! What a cute and clever design. Wonderful idea. Such a great creation.